I write this in sadness, as a train once full of bear enthusiasts talking about their adventures is now quiet. The landscape is still white with snow, but tundra and boreal forest have now given way to the featureless expanse of the Manitoba prairies. In four hour's time, I’ll have to face the stark shock of walking out of the station to the bustle and noise of the city of Winnipeg. 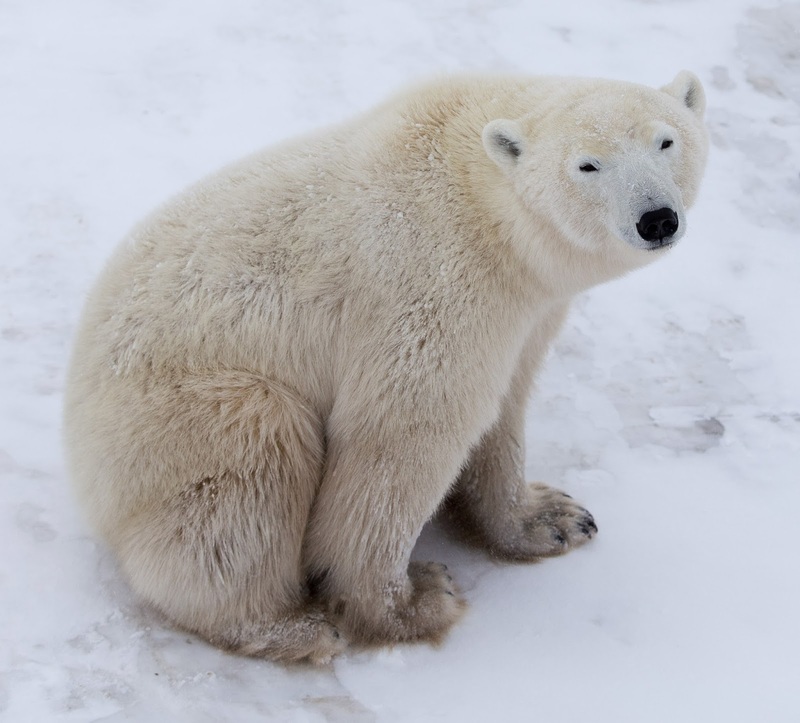 I’ll be able to reminisce about experiences such as dinner last night when a worker at the Northern Studies Centre talked about fighting off a polar bear by hitting him on the nose with a spanner. I had another fascinating conversation with a biologist working with captive brown bears in Yellowstone, who told me much about their feeding habits and personalities. Her daily encounters have re-enforced her view that their intelligence is greater than that of dogs and approaching primates'. 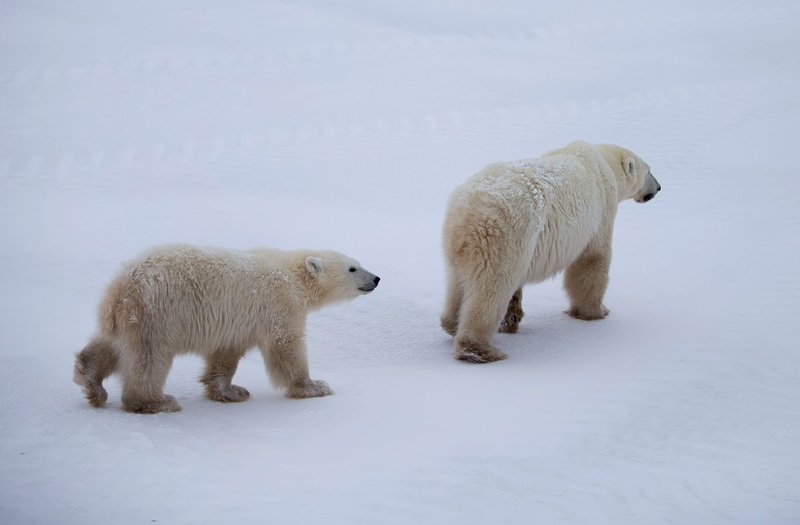 Whilst it’s regrettable that the media demonise polar bears, the danger and conflict inherent in humans sharing their territory is ever present. I asked several people on my visit about the incident in Churchill a week before our arrival when two people were hospitalised. There were some special circumstances, including the fact that there had been much disturbance and noise during the Halloween celebrations preceding the attack. The victims had been walking around town in the early hours of the morning when the bears might not expect activity, and alcohol may have made their behaviour appear unpredictable. Further human bear conflict is almost inevitable in our YouTube generation, when the desire for sensationalist footage to share leads people to get too close. Habituated black bears may be able to tolerate close proximity, but polar bears’ need to preserve boundaries is greater. Sadly, the desire to ‘walk with bears’ often leads to them being shot, as at Camp Nanuq recently. Another contentious topic is the selling of hunting rights to trophy hunters by indigenous people. This is a means of income to communities in Nunavut, and some argue that it provides an incentive to preserve a sustainable population. Canadian hunting is relatively well regulated in comparison to Russian, but my view is that it puts an additional pressure on populations of bears already under threat from climate change. I find it morally repugnant that a wealthy individual able to afford 30 or 40 thousand dollars for a permit can slaughter a bear, not for food but as a status symbol. For all its problems, I would rather such communities consider eco tourism as a sustainable means of survival. My first visit to Churchill in 2010 had a profound impact upon me, and the need for us all to lobby our governments to take action on climate change and alter our own behaviour is even more urgent now. 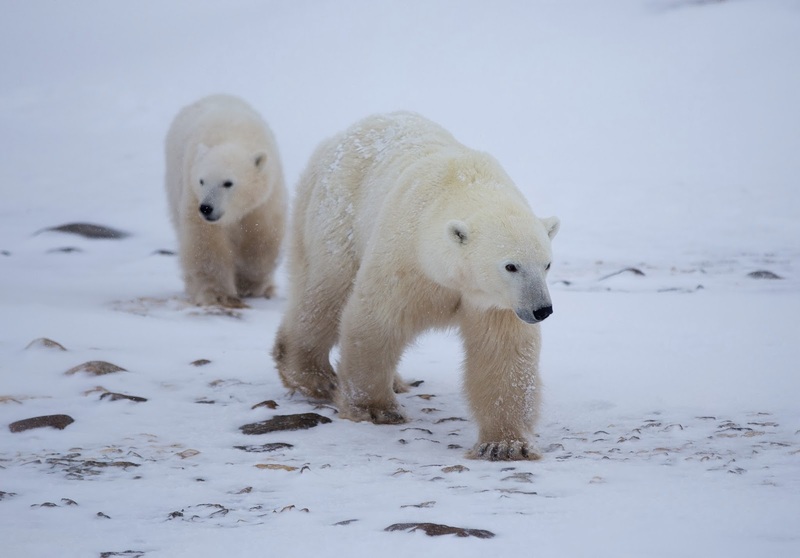 In the last 10-15 years, 15-18 percent of polar bears’ feeding time has been lost due to the decline in summer ice coverage. If female bears are unable to gain enough body weight to support their cubs, their pregnancy is aborted, as they are delayed implanters. 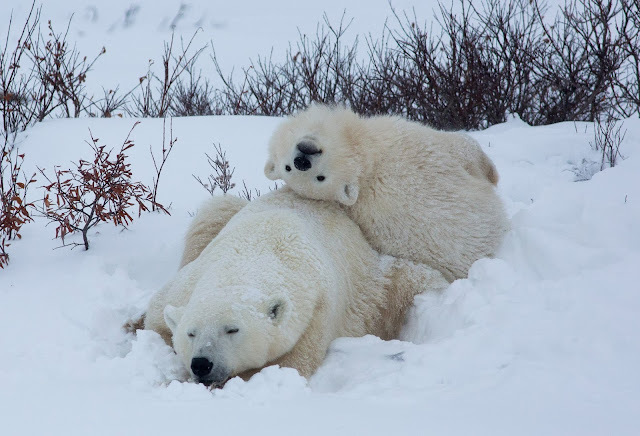 A bear's energy needs are finely balanced, and populations may now be close to a tipping point. It’s possible, or even probable, that bears will disappear from West Hudson Bay within my lifetime, given the speed of warming in the Arctic. If economic development in this region, such as the proposed oil shipments through Churchill is permitted, there is strong risk this decline will be even more rapid. The evidence for man-made climate change is now even more overwhelming, and whilst habitat loss is the primary threat to the polar bear, tourism cannot be ignored. In Churchill, people intercepting bears on their way from the denning area to the ice is bound to have an adverse effect. 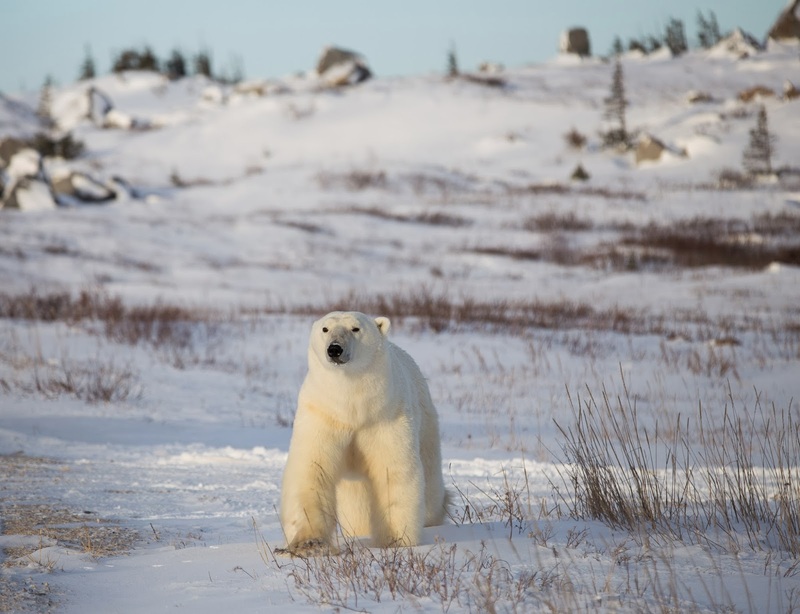 Management of the tundra buggy industry has become stronger and more consistent than in recent years, but there remains a lawless, frontier mentality amongst some in Churchill, and further human bear conflict seems likely unless ways can be found to educate and enforce conservation efforts. Yet I do not want to end on a negative note. 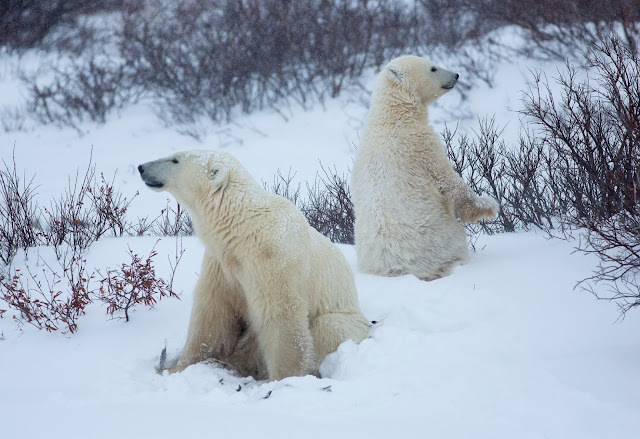 My annual pilgrimage to Churchill with the Great Bear Foundation gives real meaning to my life, and has allowed me to form some inspiring friendships. The bears themselves, for all their vulnerability and specialisation, are in my view the most magnificent creatures on our planet. The heroic and visionary Greenpeace protesters arrested in Russia show that is is possible to raise awareness of the Arctic. I hope all those that care will ultimately be inspired to help to overcome humans' tendency to lack foresight about the consequences of our actions.